Rastafarianism came to prominence in the late 1960s/ 1970s and had a huge influence on the musical culture in Jamaica. The sentiments of the songs reflected the struggles of life, as reggae music always did but now with an added spiritual/conscious element to the lyrics. By the mid 1970s most, if not all the top flight singers were following the doctrine and growing their har to dreadlocks. Everything was truly "Dread".At the heart of this musical explosion was again Bunny "Striker" Lee a man who was always at the heart of the action and many times in his career ahead of the musical game. As Bunny Lees stable of singers were at this time nearly all Rastas and with the worldwide acceptance of Bob Marley, in especially the foreign territories, this musical style was the way forward for reggae music in the mid 1970s. The visual focal point of this new turn in reggae music would be a call to all things "Dread". Add to the mix Bunny Lees close working relationship with studio wizard King Tubby, again not a Rasta himself, but someone who could sonically bring what was needed to the table and enable the whole musical chemistry to fall into place. Heavy rhythms were created to match the heavy and serious lyrics and "Versions Galore" as they say were coming out fast and furious.We have compiled a set of conscious tunes that not only match the "Dread" criteria, but also are just great tunes. The great Jacob Millers "Zion Gates", Cornell Campbells "Two Faced Rasta", Horace Andys "Its Gonna Be Dread" alongside Linval Thompsons "Never Conquer Jah". Two timeless cuts from the "The Abyssinians" get a fresh outing by two great singers, firstly Don Carlos cut to "Satta Massaganna" and the prince of reggae himself, Dennis Brown works "Declaration of Rights" in fine style. Johnny Clarkes "Man like Me" and "Dem Say Rasta" still sound as fresh today as when they were first laid down and Wayne Jarretts "Live On Jah" and Frankie Jones "Satta and Praise Jah" add to this great selection. 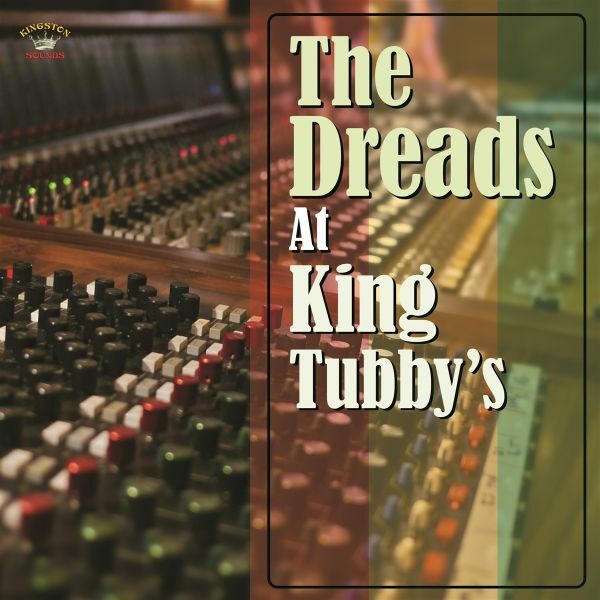 All great "Dread" tunes that were cut or voiced at King Tubbys giving them that extra shine.